One Step Back, This Necklace Can Guard My Inner Peace. But If Anyone Offends Me, I Take Double The Payback! 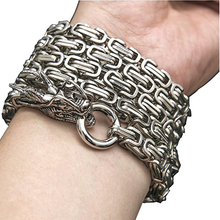 Powerful and very cool, can be as self-defense whip, hand bracelet, waist chain, necklace, car decoration, and much more! Full weight 380g, full length 104cm, bead diameter 10 mm.It can break zip-top can. The power is enough to deter invader. It has a 108 buddha beads that have been blessed by eminent monks, which can be used as an amulet. It can bring luck and fortune for you. Completely legal, It can be carried anywhere. Product use demonstrated doing “pull-ups” is a demonstration of how strong the product is, we advise that you do not attempt pull-ups or any other activities that may result in harm to you if the product ever breaks or in general any activity that may harm you with this product. PURFECT4u will not be held responsible for any injuries or damage caused as a result of using this product, or someone else with the products sold in this website. As purchaser of this product you agree that you are held responsible for any damages caused with this product to you, anyone else, or anything else.